Reassurance shield after the 94 Business interchange. 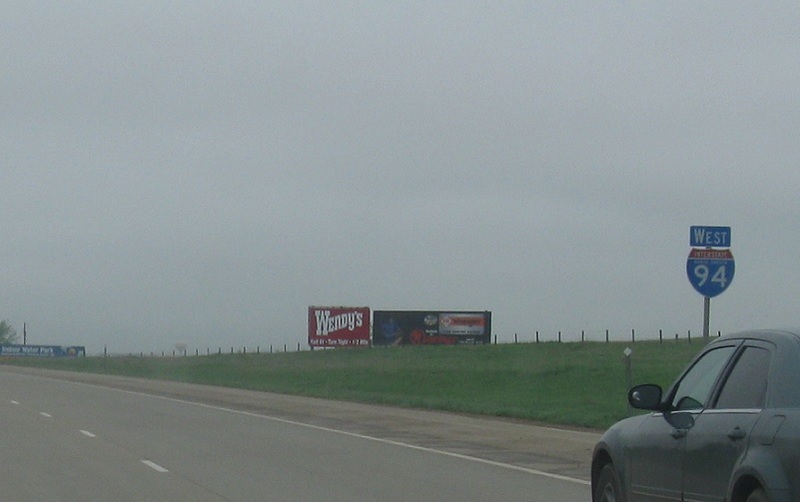 In a mile, we’ll approach North Dakota 22. 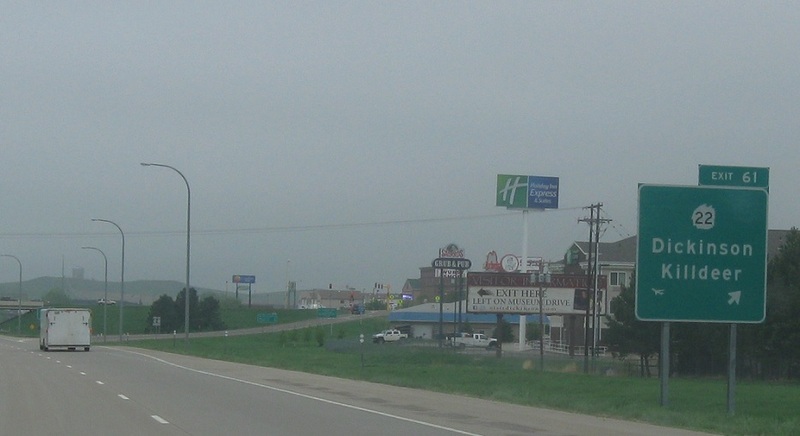 Exit for ND-22, which heads south to downtown and north to Killdeer. 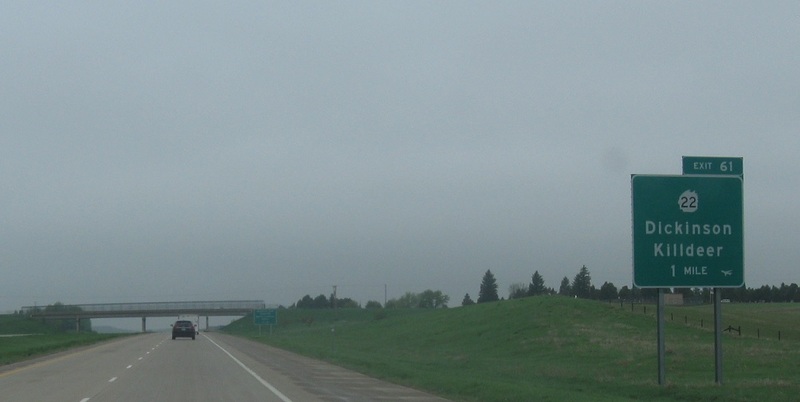 This exit also serves the Dickinson airport, as indicated by the afterthought airplane symbol.